Jaganmohan palace is in the city of Mysore, Karnataka, India. The magnificent palace was built in the year 1861. 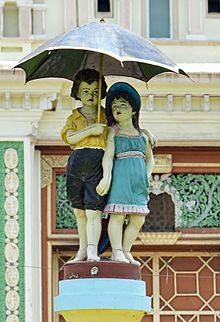 During the reconstruction of Mysore Palace (which got burnt down in the year 1897) the Wadeyars stayed in Jaganmohan palace until the completion of the Mysore palace. The palace is more than 150 years old and in the year 1915 the palace was converted into an art gallery. Address: Opposite to city Bus stand, Jaganmohan palace, Chamrajpura, Mysore. The architecture of the palace is truly mesmerising. 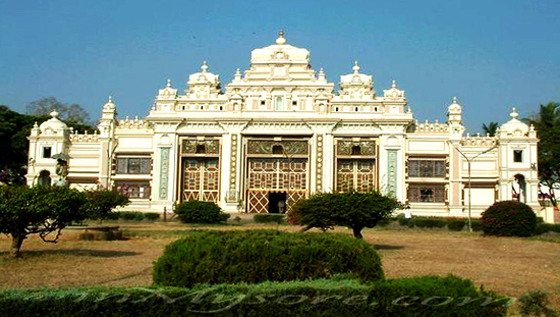 The palace is a three storied mansion built in Hindu style of architecture. The palatial palace was further extended in the year 1900 and an additional front area was built and added to the existing palace. The fine carvings on the doors are truly beauty of this palace. The main door has intricate carvings on its both sides of the doors. The two sides of the door have the carvings of the Dashavatara (the ten incarnations of Hindu God Vishnu). The palace has three main entrances. The carvings of religious importance and miniature temples relating to Hindu God will mesmerise the tourist. These carvings are known as entablature (is a superstructure of mouldings and bands that lie horizontally above the column. They are important elements of classical architecture). The interior walls of the palace have mural paintings. These paintings or artwork is directly applied on the wall, ceilings or other permanent palaces. Only vegetable dyes are used for the paintings and it is one of the most beautiful paintings in the world. The family tree of the Wodeyars is also painted on one of the walls. The palace was converted into an art gallery in the year 1915 but it was named as Jayachamarajendra Wodeyar art gallery in the year 1955. It is one of the largest art galleries in South India and has some beautiful paintings of Raja Ravi Varma. He was a great painter and artist from Kerala. His paintings have received great applause worldwide. The artefacts and paintings in the art gallery are priceless and show the beauty of Raja Ravi Varma paintings. The gallery consists of around 2000 paintings. 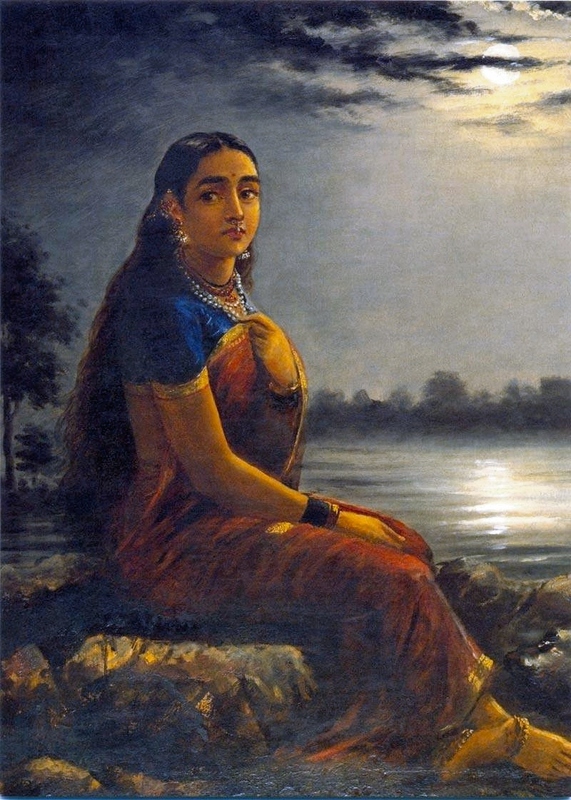 Some of the paintings of Raja Ravi Varma depict the truth of life. The paintings show different Indian styles of paintings like those of Mysore, Shanti Nikentan and Mughal. The gallery which is a treasure house of paintings has some important collections like Rembrandt paintings, Ravi Varma paintings and some of the other works that are present here is from PP Ruben, Aless Caddy, Nikolai Roerich, Rabindranath Tagore and Gunoy. 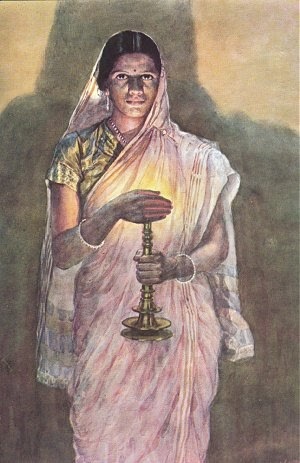 One of the rare collection of paintings of Haldenkar is Lady with a Lamp is the most attractive painting in the art gallery. There are also collection of paintings in display about the wars between Tipu Sultan and British. These paintings were done by British army officer Col. Scott. There are also beautiful paintings on the rice grain. Some other artefacts display includes mementos, furniture used by the royal family, sandal wood carvings, French musical clock, antique coins and currencies. The French clock displays the marching of miniature soldiers for every hour, seconds shows the beating drums and bugle shows minutes. Auditorium at Jaganmohan palace: The palace has a large auditorium which is used for many cultural activities like dance, music concerts, and dramas even to this day during Dasara Festival. The palace gets decked up during the Dasara festival. The auditorium has designs with intricate carvings makes it all the more beautiful. Mysore is well connected by road, air and rail from Bangalore and other major cities of India. One can even hire a cab from Bangalore. The drive is close to 3hrs. Mysore has many tourists’ places and around Mysore as well many touristic places are there. One can plan well for a week’s trip to Mysore so that they can cover all the places. The best time to visit Mysore is during the Dasara Festival in the month of October. The whole city would be illuminated and various cultural activities keep you occupied all through the day. Otherwise also Mysore can be visited all round the year. The weather is not harsh either during summers or during winters.